Pastor Mike grew up attending a Baptist church across the street from his home in central PA. Through the church’s influence, he received Jesus Christ as his personal Savior at age 13. Childhood desires to serve the Lord in full-time ministry never went away. In 1995 he graduated from Bob Jones University (SC) with a B.A. in Bible and finished a M.A. in Theology two years later. Upon completion of his schooling, the Lord led him to the San Francisco Bay Area to continue his training under another pastor for three years. In 2001, he married his college sweetheart, Christina, and they began a 7-year ministry at Calvary Baptist Church, Alameda, CA. Their family has grown with the addition of four boys and now a little girl. 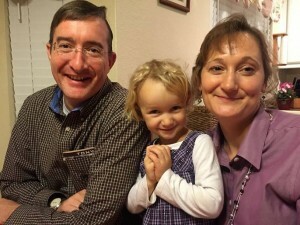 Pastor Mike has been serving as lead pastor at Continental since 2008. 1) Making God’s Word refreshing and relevant. 2) Strengthening marriages and families. 3) Inspiring a love for the gospel and world missions. 4) Training the next generation to love and serve God.